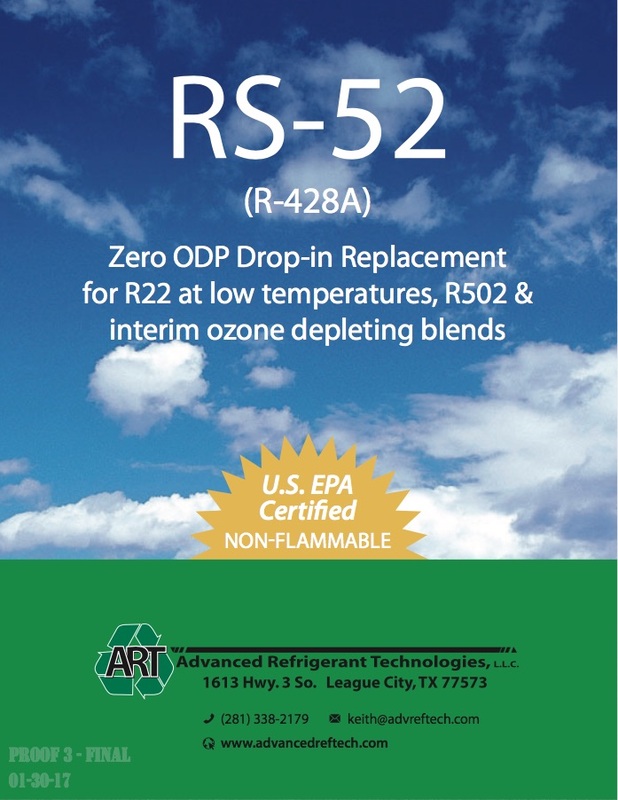 RS-52 (R-428A) Zero ODP Drop-in Replacement for R22 at low temperatures, R502, & interim ozone depleting blends. RS-52 is a non ozone depleting near azeotropic refrigerant blend which can replace R22, R502 and the interim ozone depleting. blends including R402A, R403B, R408A & R411B without the need to change the existing lubricant or make any changes to the system other than adjustment to the expansion device in some cases. RS-52 is targeted towards lower temperature applications.